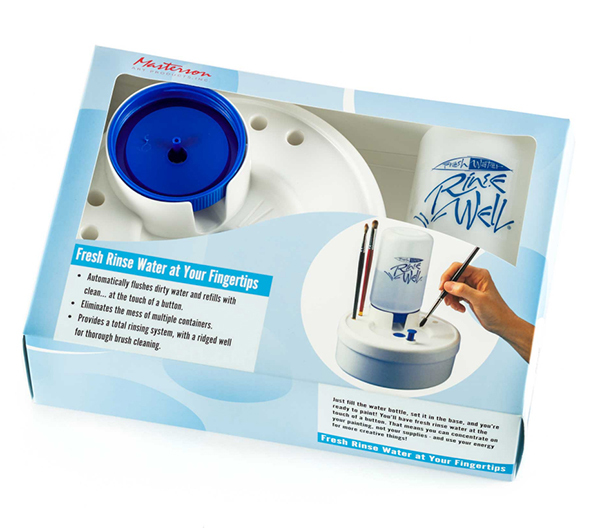 Rinse Well Brush Cleaning System holds 28 ounces of water. Durable plastic will provide long-lasting service. Reservoir holds 28 ounces of fresh and used water. Holds 4 brushes upright for faster drying. A button push flushes dirty water into reservoir and adds clean water to basin automatically.